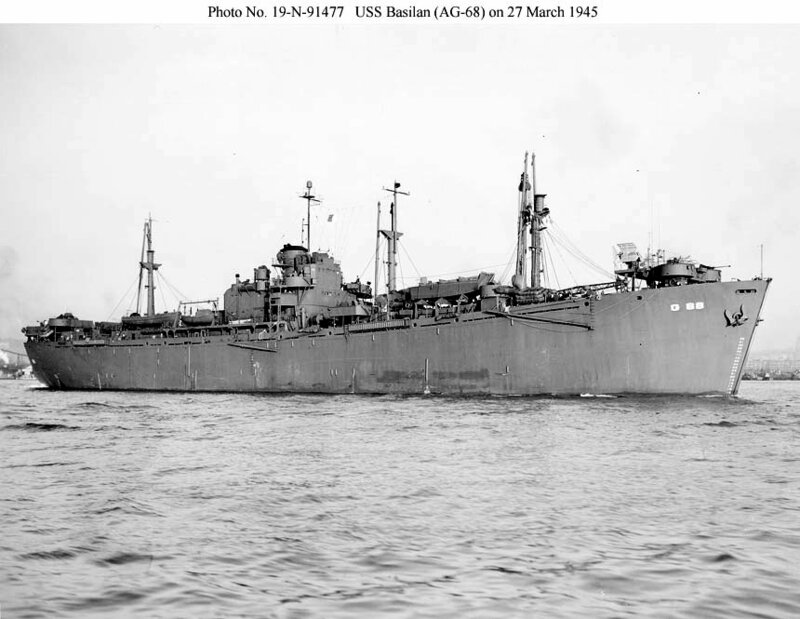 Laid down, 5 February 1944, as SS Jacques Phillipe Villere, a Maritime Commission type (EC-2-S-C1) hull under a Maritime Commission contract (MCE hull 2460) at Delta Shipbuilding Corp., New Orleans, LA. Converted to a Miscellaneous Auxiliary at Waterman Steamship Co., Mobile AL. Decommissioned, 14 May 1946, at Pearl Harbor, T.H. Transferred to the Maritime Commission, 15 August 1947, for lay up in the National Defense Reserve Fleet, Suisun Bay, Benecia, CA. 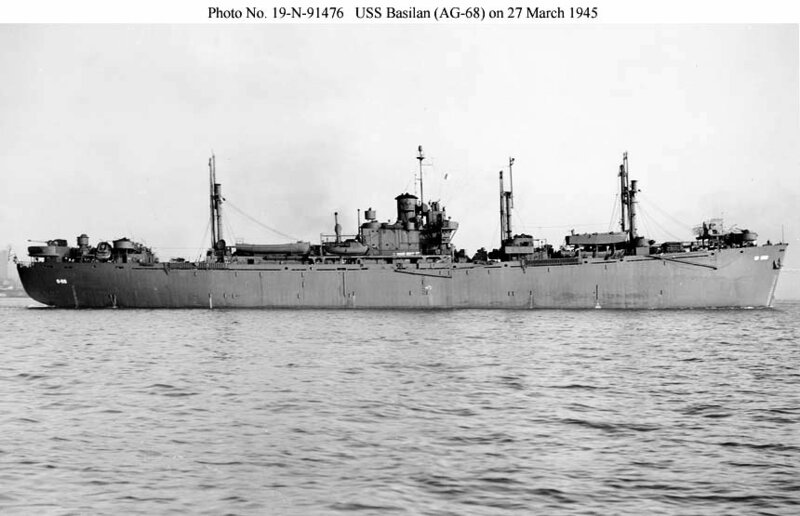 19-N-91477 90k USS Basilan (AG-68) under way in San Francisco Bay, 27 March 1945, after overhaul. 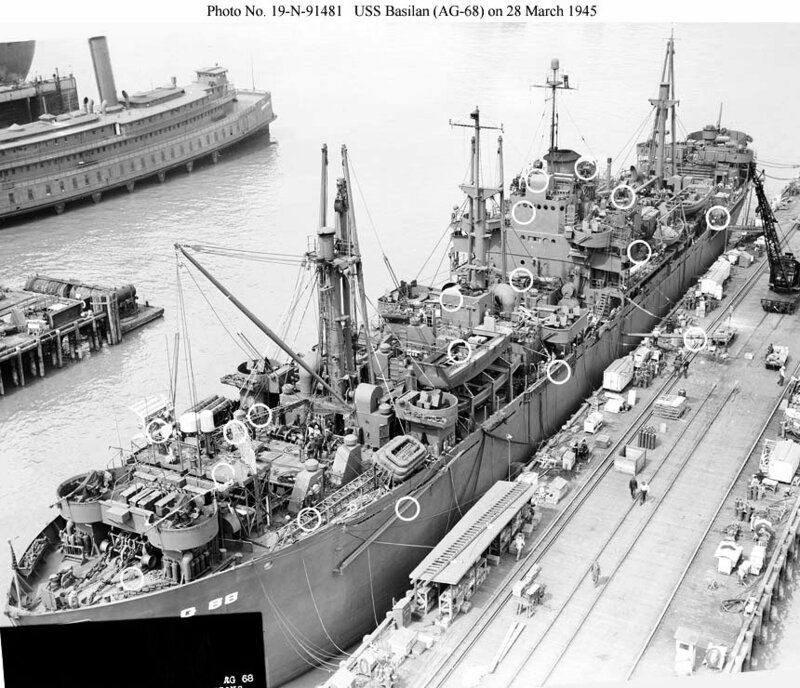 176k USS Basilan (AG-68) at San Francisco, 28 March 1945. The ship has had many features added since her original conversion. New items (possibly fitted during this overhaul) include the radar test stands (with antennas) on the bow, additional cargo booms, and the landing craft carried above the large ship's boats forward. 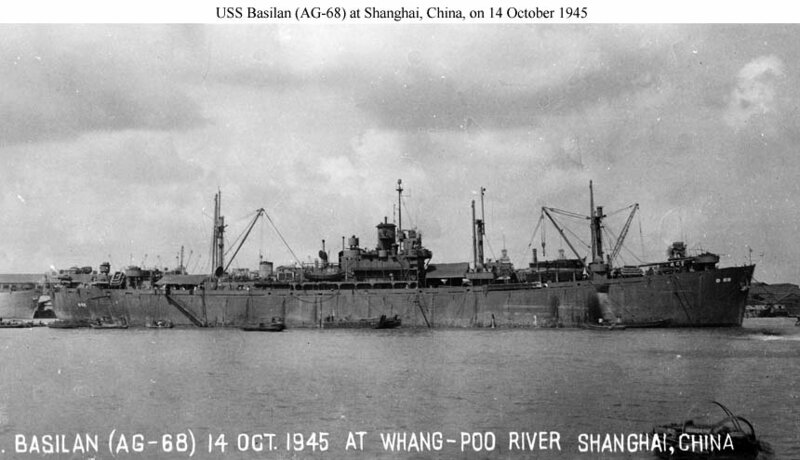 72k USS Basilan (AG-68) moored in the Whangpoo River at Shanghai, China, 14 October 1945.